Beautiful display options for every place. 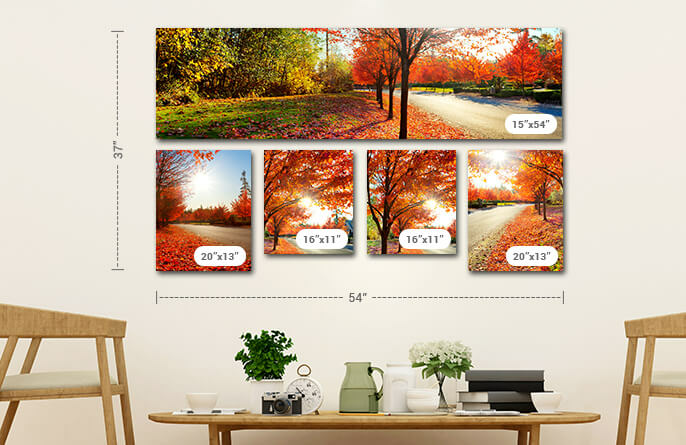 Transform your favorite photos into stunning canvas prints. 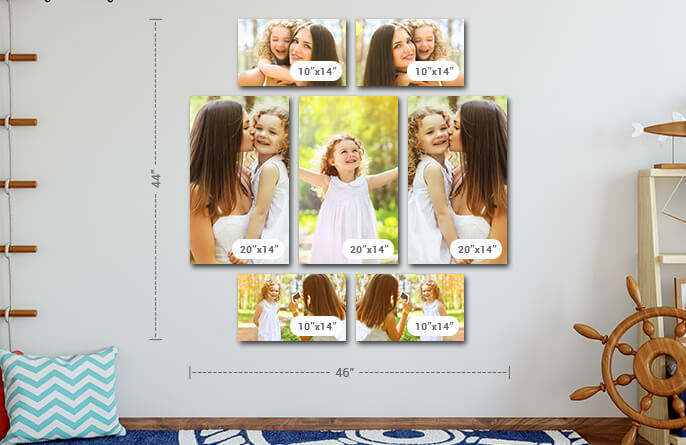 Create an amazing Canvas wall display from your favorite photos. 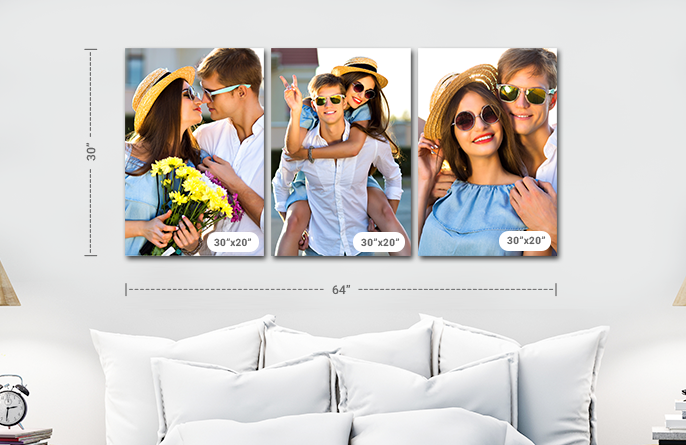 Checkout our preset unique canvas print wall displays arrangements that work best for you and other choices to guarantee your photos look their best. 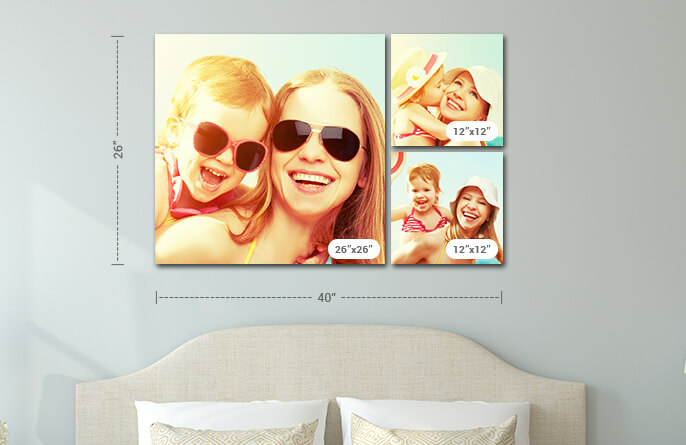 Bring You Memories And Ideas To Life With Customized Canvas Wall Displays! 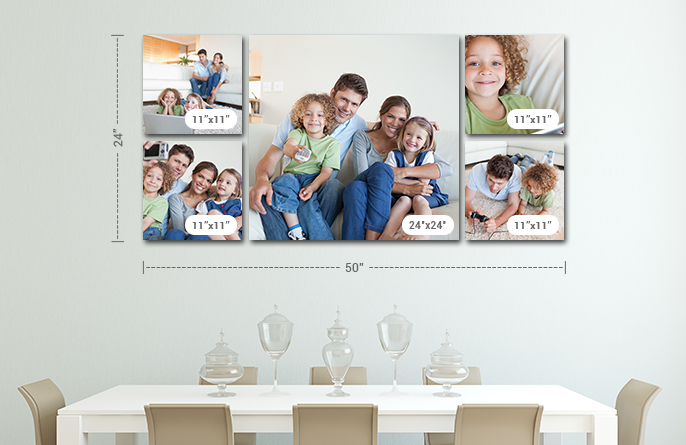 Canvas wall displays give you an amazing way to display your favorite art or photographs in the best way possible. 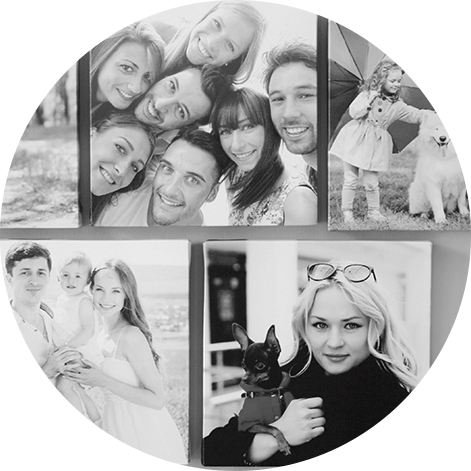 Whether it is a picture of your baby, or a painting of a beautiful landscape, you can get them printed right away as canvas displays. 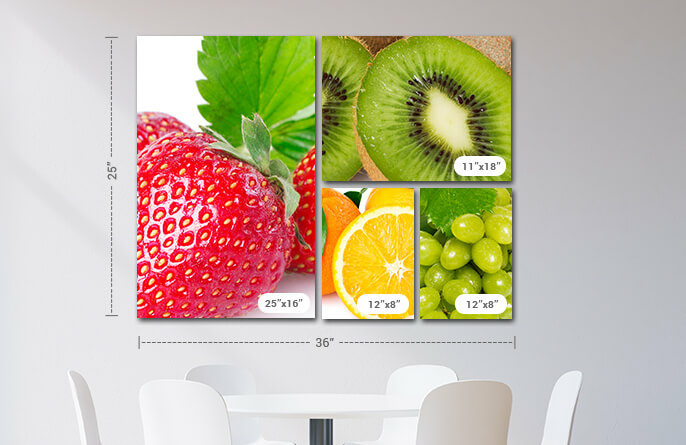 A multi panel canvas wall display gives you the perfect alternative to a single panel wall display. 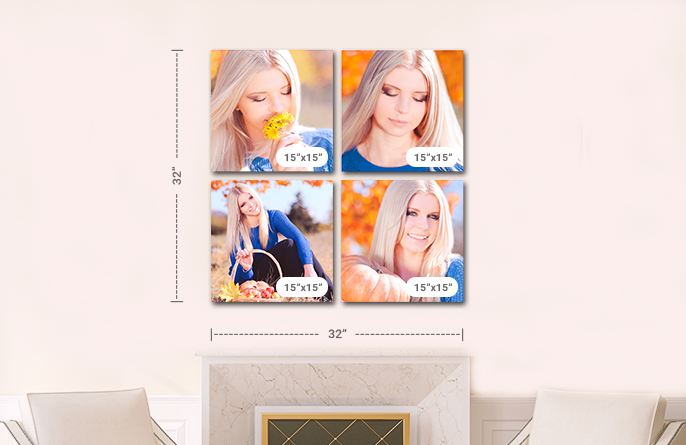 Your images are first converted to a high resolution, after which they are spliced into separate image tiles, this creates a unique panel grouping effect, and it is perfect for filling in large empty wall spaces. Canvas wall art allows you beautify your home, or office in the best way possible. You can put your creativity to the test, and come up with innovative ideas, or you can go with a simple canvas wall print display, that you have always wanted. At Canvas Champ, we have designed canvas wall art displays for a large number of New Zealand clients and we can assure you the best quality! Get started today with your canvas prints NZ! 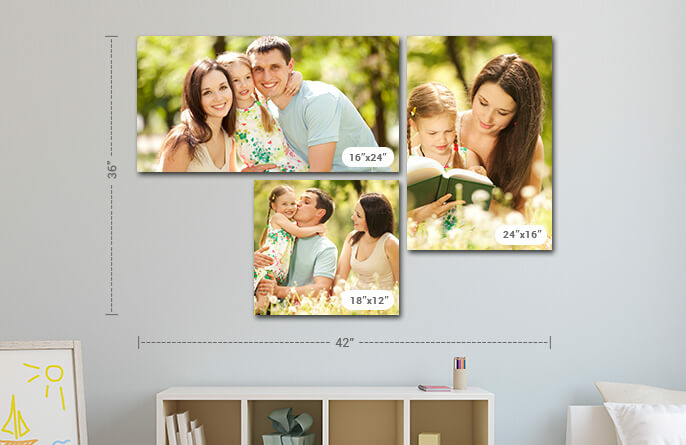 Ask about Canvas Wall Displays and get answer in email. 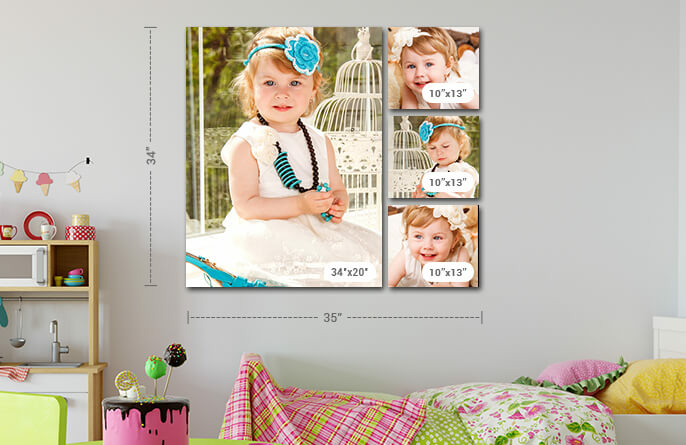 *What do you want to know about Canvas Wall Displays? A: Dear Customer Greetings! Thanks for getting in touch with us. Please know that we required minimum 150 DPI for the good quality print and if you want you can send us the image in reply to this email so that we can check and then you can place the order on the website. Please let us know if we can help you further. Kind Regards Sam Canvas Champ.